The Photo and Video Portal cultural events, Sports, for Menton Artistic and country chin. Discover the Events Images of Menton and the country's Mentonnais. Discover the Menton Traders and Creative Artisans. 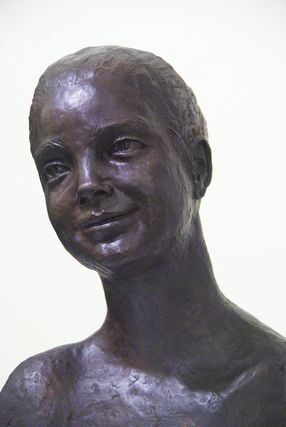 Original Bruges, Arlette Somazzi sculptor left his mark in various artistic venues in the city of Menton. Thus we discover in a walk on the coastal path at Cap Martin, a bust of Le Corbusier carved by the artist. A bust of Francis Palmero (mayor of Menton from 1954 to 1977) on the plaza that bears his name, or even in the garden of the Palais Carnoles a bust of the famous pianist Samson Francois (fantastic pianist who has participated in seven editions of the Festival de Musique de Menton). There is also a Bronze Medallion sealed in a stone at the foot of Bastion and paying tribute to Jean Cocteau : "I stay with you." This exhibition features busts of Prince Albert II of Monaco, Serge Lifar, Rene Huyghe. Masks of Jacques Medecin, Raymond Barre, Alain Decaux, Rudolph Noureev. Exposure that poses the light works on the visitor, an inversion of gender very successful !